Natural beauty: Con Dao is home to a vast national park and thick forests that cover most of the archipelago. Phu Quoc versus Con Dao. It's a debate that has long raged among expatriates looking to escape the hustle and bustle. Both offer something different for holidaymakers. In terms of sheer variety, Phu Quoc is surely superior, with more hotels, restaurants and activities to keep its bikinied clientele satisfied. 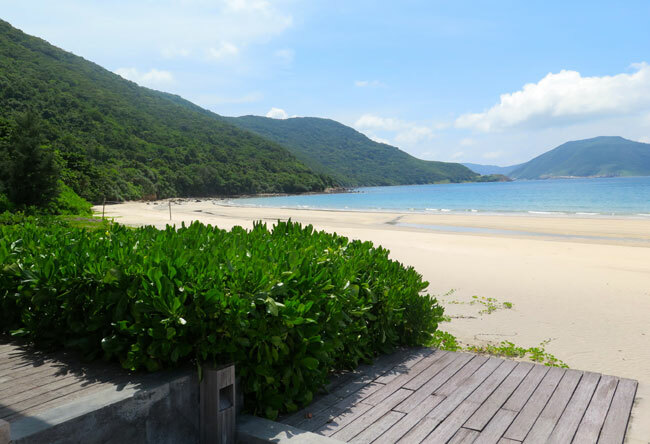 But for a true getaway, Con Dao comes up trumps. The archipelago's deserted beaches, coral reefs and thick forests offer a relaxed, untouched atmosphere that Phu Quoc relinquished long ago. The main island, Con Son, is also home to some of Viet Nam's most pristine national parks and diving spots, with the old French prison another fascinating and chilling must-see. With more direct flights to connect Con Dao with the mainland next year, here's your guide to experiencing the best in dining and accommodation options on this southern oasis. Opulent and eco-friendly, the Six Senses Con Dao is the real deal. As the only luxury-wellness option on the Con Dao archipelago, its eye-watering price tag is matched by sheer decadence, with 50 self-contained, ocean-facing villas that come complete with infinity pools, outdoor showers and your own staircase to the resort's private beach. Prices start at a steep US$595 a night (excluding taxes) from September, but the inclusions are extensive, comprising an onsite ice-creamery, airport transfer, a personal "guest experience manager", free paddle-board hire and a gigantic buffet breakfast, to name a few. Close attention has also been paid to comfort; with everything from a pillow menu to bedside notes indicating relaxing yoga stretches after that stressful day of sun bathing. At the other end of the spectrum, Con Dao Camping's simple-yet-comfortable lodging and charming, beachfront location will suit those travelling on a budget. Just 10m from An Hai Beach, guests can flit between the sand and their triangle-roofed bungalows with ease. Rooms are basic, but include comfortable beds, reliable air-conditioning, a stocked mini bar and blisteringly fast wi-fi that makes bedtime Netflix streaming easy. Prices are also a steal at a reasonable $25 a night, while motorbikes can also be rented for VND110,000 per day, and (importantly!) include helmets. The resort offers an all-day restaurant serving a mix of Asian and Western fare. The convenient location also means you're within minutes of town and the island's fantastic Con Dao Prison. But bring mosquito repellent. After undergoing some renovations, Con Dao Resort is now a solid mid-range contender for those desiring hotel-standard amenities without breaking the bank. It may seem a far cry from the plush Six Senses but from around $70 a night, the hotel offers pleasant grounds for an afternoon stroll, a tennis court, spacious rooms and a gorgeous ocean-facing pool to while away the afternoons. An in-house restaurant is also on hand for those (most of us) who won't want to stray too far from the beach. Feast for the eyes: Con Son is home to two western eateries that serve up tasty, home-made fare, as good as that found on the mainland. Tasty, grilled seafood can be found at Thu Ba Seafood Restaurant. Run by British expat Rhys Madley, the cafe is also the office for Madley's tour company Senses Diving, which makes daily runs to key diving spots around the archipelago. Opened last year, Bar200's home-cooked food and friendly atmosphere have made it an instant hit with visitors, most of whom make daily pilgrimages for the hearty breakfast fare. 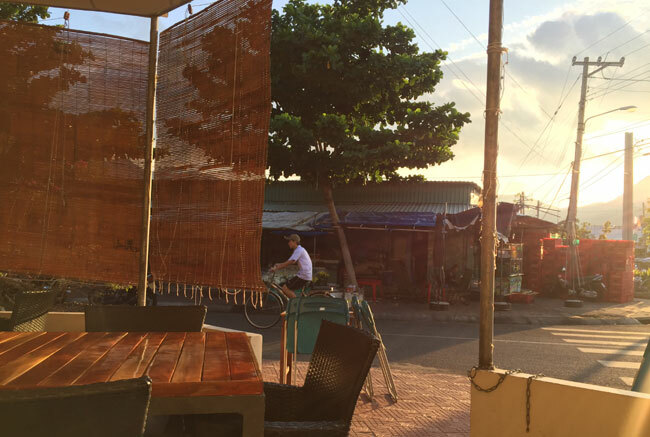 The best coffee on the island can also be found here, with quality Lavazza beans shipped from Sai Gon. 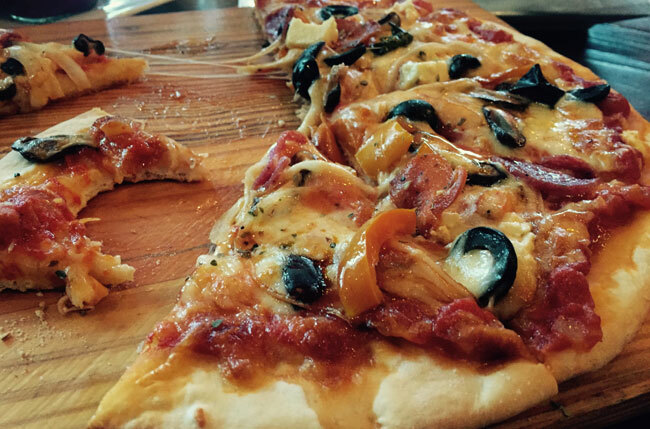 The cafe's devout obsession with fresh food – the bread and pizza dough is made in-house – and pizza oven make it a must-try, at least for the meat lovers pizza (VND220,000). A great choice for spending those occasional rainy days on the island, Infiniti offers home-cooked, gourmet food and plush couches for chilling out. The menu is stacked with a wide range of gourmet fare, from teriyaki chicken with fried udon (VND165,000) to bacon-topped, baked cheese fries (85,000) and grilled halloumi, tomato and olive salad (VND145,000). You'll also find delicious cocktails and homemade desserts, like the passion fruit tart with strawberry ice cream (VND125,000). The hip mish-mash of empty birdcages, recycled crate tables and exposed light fittings also make Infiniti a popular choice with younger visitors. If you're struggling to choose, try going grilled: grilled squid with salt and chili (VND150,000), grilled garlic fish (VND150,000) or grilled lemongrass shrimp (VND250,000).